Cact. & Succt. J. (US) 33:53, 1961. Type: collected in May 1883 by Siler, MO (2 sheets); photograph, ny. Echinocactus sileri Engelmann in Coulter, Contr. U.S. Herb.3:376, 1896. Utahia sileri (Engelmann) Britton & Rose, Cactaceae, 3:215, 1922.
fh 0206.1, Fort Pearce Wash, 800m. 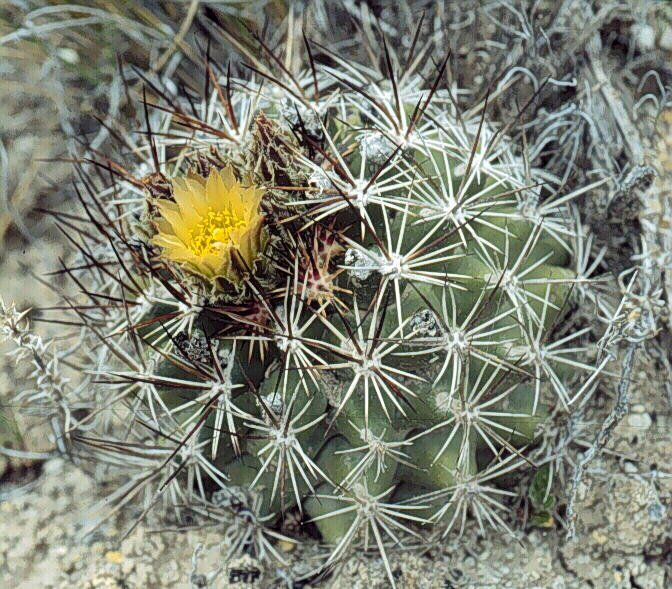 Pediocactus sileri, fh 0200, near Pipe Springs, 1,500m.